Neon-speedrunner RAZED is coming to the Nintendo Switch and PlayStation 4 this holiday season. RAZED awards quick thinking, precision and creativity. Players will rush through dynamic levels, dodge obstacles and come up with clever skips to fight for the top spots in international online leaderboards. 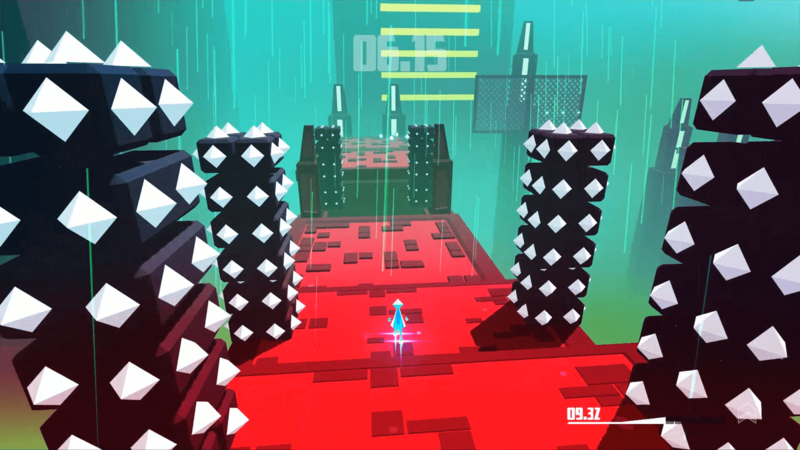 Combined with spectacular boss fights, unlockable abilities and the option to quickly reset runs, RAZED offers players a flashy, frenetic experience. Secret challenge levels: Employ all your different skills and abilities to find RAZED‘s toughest maps and tackle them head-on. Online leaderboards and ghost data: Challenge the world via online leaderboards, and race against friends’ ghosts in a game of asynchronous one-upmanship. This fast-paced platformer from PQube and Warpfish Games releases Dec. 19, 2018, for both systems.